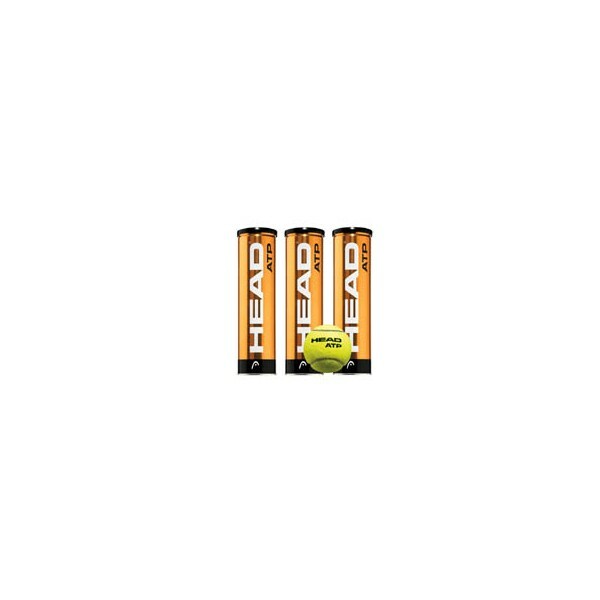 Head ATP Tour Golden Balls (1 Dozen) - The official ball of the ATP, the AMS, and the TMC, this tournament grade ball features new Encore™ Technology for even better durability, and SmartOptik™ Felt for even greater visibility, even compared to the original ATP Tour ball. These balls are designed to last, and play like new longer and are great for all types of courts. 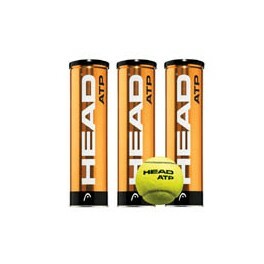 Recognized as the best by professionals, HEAD is the official tennis ball of the ATP, ATP Masters Series and Tennis Masters Cup Shanghai. The new and improved Head ATP Tour Golden Balls are 33% longer lasting, and feature the new Encore™ Technology. Encore™ Technology is based on a blend of natural and man-made polymers in a core that limits ball softening. This allows the ball to stay fresher longer and play “like new” longer. Players will feel like they are playing with new tennis balls, even if they have been opened for weeks.